The Megalytic widget named Traffic by Content Group enables you to create charts and tables that display metrics segmented by Google Analytics Content Group. In this widget, the editor enables you to select the content grouping to be displayed in the table or chart. 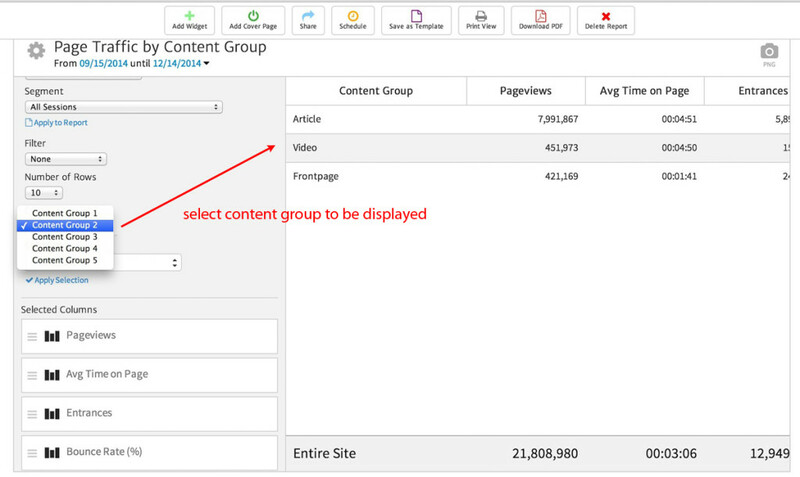 In the example below, Content Group 2 has been selected and the table now displays metrics by content type.